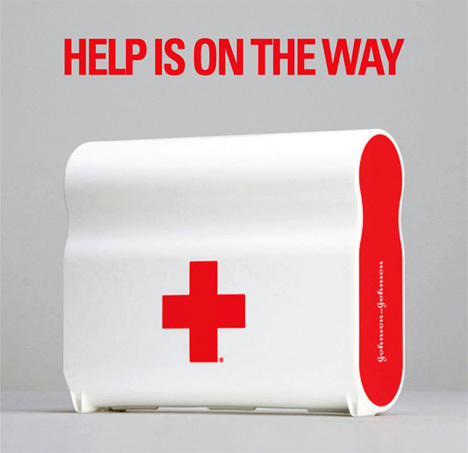 In 2006, Johnson and Johnson turned to Harry Allen & Associates to re-design the First Aid Kit. Although it is one of Johnson and Johnson’s most iconic products, after years of cost engineering the First Aid Kit had been reduced to a disposable clear plastic case – gone were the memorable designs of yesteryear. The design was simple, to give the First Aid Kit a dynamic new form. Harry worked closely with Chris Hacker, Vice President of Global Design & Design Strategy, and the design team at J&J to rethink the kit. The resulting design puts the user first. It stands on end of ease of storage; the built in handle provides grab and go efficiency while maintaining the smallest possible profile; the color scheme is an eye-catching red and white, and the cross is bought back front and center. It is soft yet commanding, a friendly “figure eight” that is easily recognized as the first step in fighting minor health hazards. The case is shipping to stores as of January 2008 and will be available in most retail outlets that sell J&J products including Walmart stores nationwide.